Let me just say something, I love my Nikon D4s so much, it will be hard for anything to replace it in my heart. My D4s “gets me the shots” in all kinds of situations, the quality of the pixels are absolutely amazing and apart from the elusive megapixels chase (16.2 MP), I probably don’t have a good reason to seek out a new camera. So why did I buy the D5? Tough question really, one answer is that in my mind I have always wanted one, but then there will be the Nikon D500 which is looking awesome and way more affordable, why not just that camera? I mean the questions could go on and on, I thought about the D500 seriously and still do, but I am so used to where my dials are and the size and feel of a Nikon PRO body that it is really hard for me to change. I have tried it before and lost precious shots because I fumbled with the camera settings and dials on the smaller camera bodies. So back to the “why buy the D5” question, I had a Nikon D3X a few years ago, it was a hit and miss camera, but boy, when it hit, it hit and the photos were awesome and the cropping ability was amazing, so I think my experience with the files from the D3X and the cropping ability of the D3X heavily influenced me. Also another of my most basic answers to this question would be, the new focusing features and the new technology and mega pixels of this camera might help in the ever elusive chase for better photos, not that a camera does all that, but it can help. Ultimately I had hoped that Nikon had taken my D4s, added that perfect mega pixel range for me, improved low-light high ISO capability and for an even better “no miss”, more accurate autofocusing system. I had also hoped for more focus area coverage, that was my initial hope for the D5. Did the D5 accomplish all of this, I honestly don’t know yet, it is too early to judge at the moment, as I just don’t have the experience with this camera yet to say one way or the other. 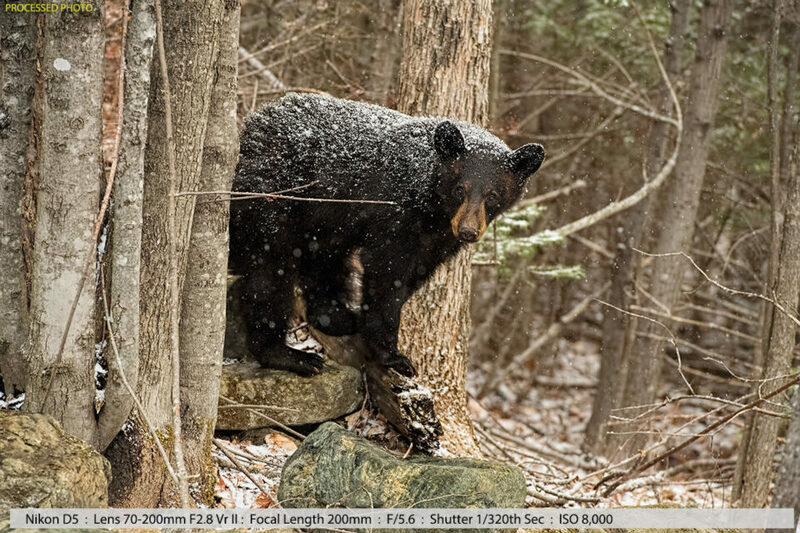 As you can see by two of the above sample photos (snow ones), the weather was difficult, but I love the photos and I don’t often see black bears in snow. These end up being mood photos, but processed nicely, they are good enough photos to print for me. Nasim is the king of technical articles and reviews, so I am not going to attempt any of that here. What I can do is offer some first hands-on experience, thoughts and some initial (my first) real-world sample images with this camera. Now I didn’t try to push ISO’s way too high, because my wildlife opportunities are limited and I can’t afford to throw away possible keepers for an ISO exercise. So these images are actual attempts to get keeper quality photos. Let’s take a look at some sample images without any post-processing. Here are some sample images. They have not been adjusted in any way, just brought into Photoshop and saved as a JPEG file. Not sure if this will be an accurate reflection of the original file, as the website does some additional image processing and compression as I upload files – Nasim tells me that the image quality should not be impacted, since the images are compressed using JPEGMini. This first photo is at 10,000 ISO, higher ISO than I have ever tried to create a keeper photo from, but as mentioned in previous articles, I have tight tolerances on what I perceive as noise in my photos. It was photographed late evening, just before dusk in very overcast setting, very dark feel to the light. One of the things Nasim told me, is that I shouldn’t compare my D4s images at 100% view to the D5 images at 100% view, because of the megapixel difference. If I wanted to compare the D5 images, I should down sample to match the D4s size, for a more accurate comparison. I have to tell you, my initial D5 images were not what I had hoped for. There was a bit of softness to the images that kind of reminded me of my D800 images, maybe this is due to the larger megapixel count, that images at that size have that look. But there are several things I have not been able to do which might void that statement – I have not had a chance (because of the weather) to fine tune my lenses for the D5, and of course this being my very first images, perhaps it just didn’t happen at that moment. Since those first photos, I have had some better opportunities and my gut-feeling is that the Nikon D5 is going to produce stunning images and will perform remarkably well at higher ISO ranges than my D4s. I think I will be able to choose a higher ISO maximum than I had for my D4s which of course gives me more shooting opportunities. The damn thing also autofocuses with a snap like instantaneous click, its instant and could focus in almost dark-like conditions. For me (remember it is early, only 1 week with the D5), I feel there will still be a time that the D4s will take priority over the D5, and I will have a hard time explaining this statement. 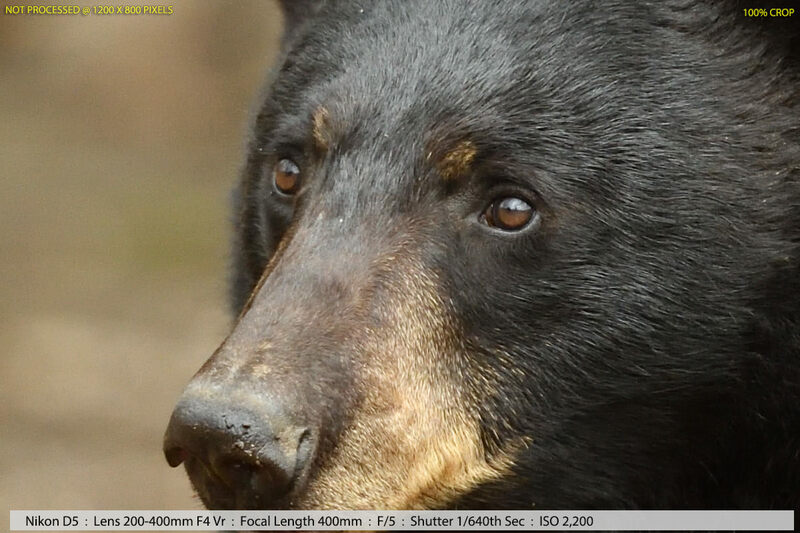 It has to do with the look the D4s images produces and the crispness of the edges of the eyes of the animals, maybe its a perfect marriage of pixels to sensor size, I don’t know. On the other hand, having those extra megapixels to crop on the D5 sure is nice, I could crop a horizontally framed photo into a portrait photo and still have 300 dpi for that crop. I noticed the average file size of a D5 raw NEF file was approximately 24 MB to 28 MB and it adds up when shooting at 11 frames per sec, I actually filled up a 32 GB XQD card in one short session and I will probably have to evaluate my storage needs. This article was really just about sharing some real-world Nikon D5 images – not perfect conditions, not horrible conditions, but the kind of conditions I often find myself in when shooting some of the wildlife I like to photograph. I think more time with this beast of a camera is what is needed for me, but it is not a bad start. Wildlife doesn’t show just so I can evaluate a new camera :) I wish it did – hehe. I am sure Nasim will write a very technical and detailed articles on the D5. Take this article, as a very initial, first-hand experience with some sample photos from a D5. 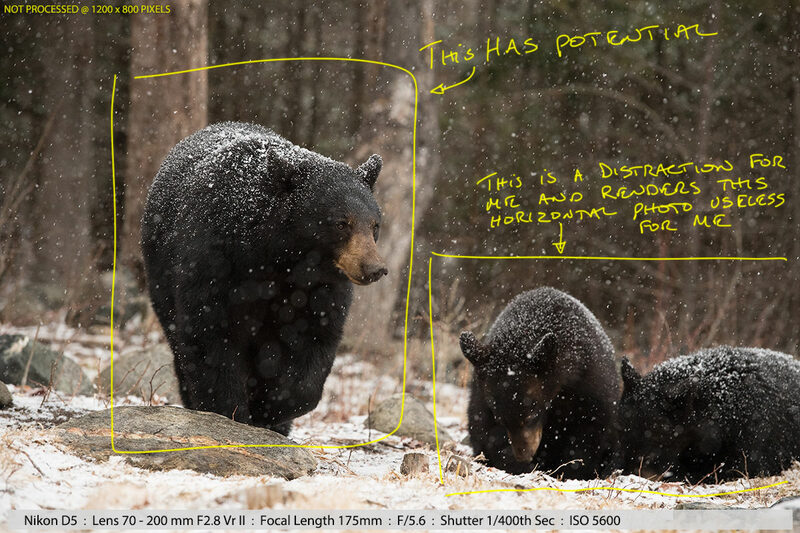 I wanted to illustrate with the example below, the ability to obtain a portrait crop from a landscape image due to higher mega pixel count available, something I always wished I could do with my D4s but didn’t have the number of pixels required at a reasonable (300+) DPI. 1st image shows the original photo, not processed at all, which to me was a non keeper because the cubs were distracted and to me didn’t add to the story of the image. However I really liked the mood and the pose of the adult bear and hence tried my 1st landscape to portrait crop since my D3x days. This second image shows the potential of what is possible and is now a new ability in my kit due to the mega pixel count of the D5. It also shows the D5 autofocus system performed remarkably well, maintaining focus of an approaching subject while it was snowing heavily. Lastly, on these two newly added photos to this article, the above photo is a keeper photo for me at 5600 ISO. To date I am yet to have a keeper photo at that ISO setting for the D4s. Get out there and get into it – photography is an experience! Beautiful photos, I will gladly take a D5, or D4s, at this level of gear I hope the images are spectacular! Is this a zoo? Never seen bears so relaxed when a human is so close. Thanks and no its not a in a zoo, these were wild bears in the field – some are with the 600mm and I usually try to camo up pretty good, sometimes when they discover me, they run like hell, sometimes they pause or take a relaxed stance, it all depends on the day and mood. I have been always shocked by people need to have the newest, the best camera gear! I understand the jump from D50 to D7000 or from cropped to full frame but the hype of D5 is just crazy! This camera is only for specialized sports photography use, for regular photography you will be better off with 5x less expensive D750, come on…. It depends, I am not sure its the price of the camera that matters. Its the quality of the final result and the quality of the pixels. Unfortunately (until the D500) that mostly came in expensive camera bodies. But even the D500 will not have the same low light performance, we don’t know for sure, not released yet. Personally, I have always said this to anybody who asks, you set your budget and buy the best gear you can for that budget, buying better glass if you can. Over the years it has been a progression for me, Nikon F5 film camera, D2X, D70, D7000, D3X, D4s – I can tell you 100% that the quality of todays digital camera has vastly improved over time. But all this is a personal matter and a chase for what one person perceives as high quality photos versus what another thinks. How we progressed over time was in small steps, each time seeing the improvement, my one exception to that, was I was never happy with the D800. We tend to shoot a lot in low light situations and wildlife photography has lots of that (versus just sports) and we want the camera that best allows us to shoot in those conditions. I agree on always buying better glass and that modern day digital cameras provide best quality. Just as D7000 is best DX ever, I would say D750 or D800 are best FX ever as far as quality of images. I am not talking here about AF or frame rate which get improved in certain models for certain reasons. And D5? Well first test show its ISO performance is not better or even worse than D4/D4s, while DR is much worse than that of D750 for example. This is not to say D5 is worse camera, it is actually better for special use, but you can obtain better image quality with other Nikon full frames! I think the D5 being a lemon is over blown from one low iso noise report. Nikon users gave been spoiled with crazy good DR. Its been suggested by one review the D5 doesn’t have such good DR so people are up in arms. I’m sure most people who use the camera will more then happy. I’d reserve judgement until there are multiple reviews out. The internet loves to bash and complain. I am with you @Reasonable, I have the D750 and still love my D3 (D3!!! ), the pictures come out absolutely amazing. It is true that more advanced focusing system is always better, especially when doing portraits and events, but with careful handling one can get outstanding images from D750, D800, if FX is a must. However, for wild photography -which I admit, I have no experience with- I would think that the D500 is the perfect gear. 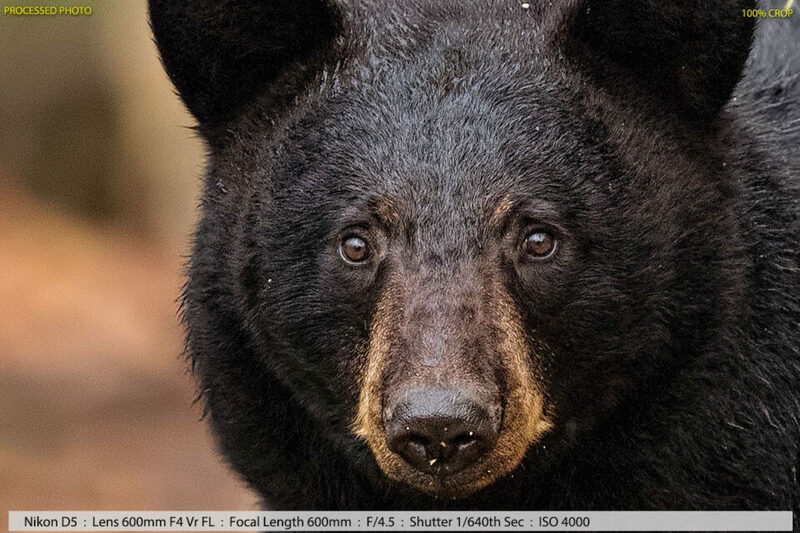 It has every bit of technology that the D5 has but in a cropped frame that should really help when photographing bears :-). I can’t wait for the D500 Review. I have a feeling it will be the most sold camera ever (even better than the D700). Here is hands on review of the Nikon D500. I hope it’s OK to post links here. The D500 will not have the high ISO capability of the D5 due to it’s smaller photosites, assuming the same sensor technology is used in both cameras, which I’m sure is the case. Of course if the D500 was to use a BSI sensor instead, then that would most likely improve its high ISO performance to coming closer to that of the D5. From the few articles that I read on the D500, it seems it holds well against the D5 in regards to ISO capabilities. I am sure we will see a detailed review in ‘Photography Life’ very soon. If you get a chance, checkout Brad Hill’s blog (www.naturalart.ca/voice/blog.html). He’s been thoroughly testing the D5 and will do the same when he gets the D500. He’s predicting a maximum usable (to him) ISO of 3200 for the D500. Will be interesting to see if his prediction holds true. I can get quite good shots with my old D300 at 1600 ISO and a friend of mine who has the D7000 (can’t remember if it’s 7000, 7100 or 7200) gets excellent results at 3200 ISO. I will be very surprised if the D500 cannot get awesome results at 12,000 ISO or even higher. In the link I included previously, the shooter is at 12,000 ISO and is very happy with the results. He is using a pre-production camera and I am sure the D500 went through some major tweaking before becoming a production model. I hope so too. hopefully very soon a good hands on review will be published here. Uh, sorry Mac, but I doubt Nikon is going to introduce a flagship product with lower ISO performance then there mid-range cameras. I don’t expect a miracle, but I do expect it to slightly improve on the D7100/D7200. Just wait for more reviews and more real life experience. I am sure both the D5 and D500 will prove to be very good products that provide small improvements over their predecessors. If not, Nikon has a disaster on their hands that is bigger then the D600 debacle. I have a D500 on order and expect the AF to be better then the D7xxxx series. That is my only expectation. I don’t really need any of the other features. 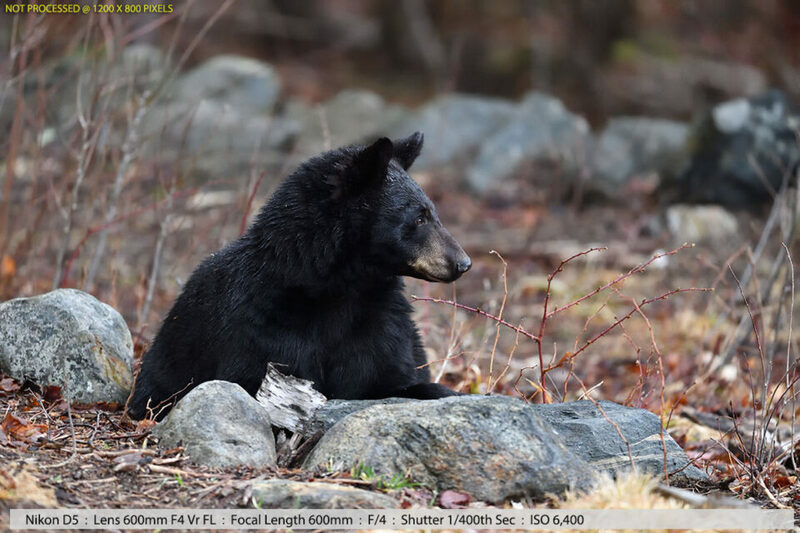 The high frame rate and buffer are unnecessary for my style of shooting (yes, I shoot wildlife and dogs in action, but I am old school and rarely shoot more then 3 frames in a burst. Mostly, not even that. This is because I shot with film for a very long time…). As for low light, if it is better then a D7xxxx its a bonus. Relax, as no new product matches everyone’s magical expectations. Besides, the best way to improve your photography is to improve your skills! Any of the current DSLR’s paired with good glass can produce spectacular results. Uh, sorry sceptical1, but that’s not what I’m saying. Everyone has there own acceptable level of noise or ISO performance. Just because Nikon claims a high ISO on the D500 doesn’t mean that is going to be “usable” to “everyone”. My acceptable level of noise is probably different than yours, therefore the highest level I’m willing to go on ISO will most likely be different than yours. I quote Brad Hill a lot because of his level of expertise AND because I have found his acceptable levels of noise are the same as mine. I have used his recommendations for years now and I have never been disappointed. Brad is not infallible nor are his predictions always spot on, but he does bat a pretty high percentage. Therefore, when he predicts a maximum usable ISO of 3200 (for him), I tend to go along with him. Well, I agree that acceptable grain is subjective. What is not subjective (and why your comment doesn’t make sense) is that you have to compare the D500 vs its competition. Will it produce less noise then a D7xxx or Canon 7D MkII. I am pretty sure it will, but time will tell. Regardless, your statement implies this camera will be a step backwards with regard to noise, which I find beyond highly unlikely. Well, I think my comment makes perfect sense. The D500 will definitely not be s step backwards. Sorry you took it that way. I admire your courage photographing these beasts at 200 mm. They are so huge and can be sooo dangerous. Maybe you should watch the movie “The Revenant” before your next shooting trip like this. I really appreciate you putting yourself in danger and bringing us such wonderful photos. 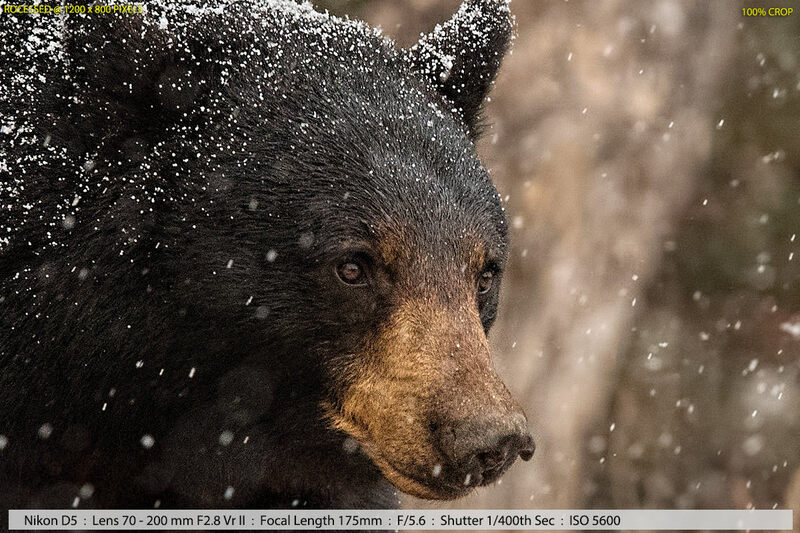 Shooting bears on a snowy day and coming back with nice “mood shots” is indicative of a lot of dedication. What this also helps with is wildlife conservation. We have bears in northern Pakistan but few people have ever photographed them. Recently i was heart broken to hear how people hunt those poor creatures and kill them just for fun. I wish i could go out there and photograph those beauties just to show the world they exist and they need protection. A similar fate befalls wild bores in the plains of Pakistan. So people like you are heroes for animals like these. Thank You Muhammad, I love wildlife and try to share the vision and beauty of them from my perspective. They are so intelligent . I believe great photos do eventually bring attention to the plight of endangered animals. The closer you get, the better the pictures are, in general. Robert is clearly willing to take small chances to get a little closer. It is a practice I wholeheartedly agree with. Once you get to know the habits of your subjects, you start to get a little more comfortable with getting closer, Of course, it’s smart to always realize that they are wild animals and somewhat unpredictable. Personally, I find it challenging and enjoyable to try to get closer without a lot of danger and without disrupting your subject. For me, it’s a big part of why I enjoy wildlife photography so much. Black bears are a lot more scared of humans than brown bears (which was in The Revenant), but still need to be careful out there. Hope you’re carrying bear spray with you, Robert. Have fun with your new D5. Great shots. You obviously know where to go and how to track wildlife. That is the key to yoyr excellent results. Thanks for sharing. I/we need some tech help here, regarding viewing high res images 1) over the internet and 2) on various devices. Can this, or any, website transmit sufficient resolution for me to be able to view these photos and conclude anything about fine details? What does clicking on the image do to improve the image quality? When I view these images 1) on an ipad Air retina display they don’t look very sharp; 2)They don’t seem to get better when I click on them, and they seem to re-load but not improve, and 3) when I view them on a high res 26 inch NEC they are discernably sharper. Please educate me. Why is that, and if that makes sense, is it not illogical to try and compare D5 images on a website? on an ipad? Further, why should you downsample D5 images to compare with D4s images? Are we not concerned only with the final product? We expect the higher res image to look better. 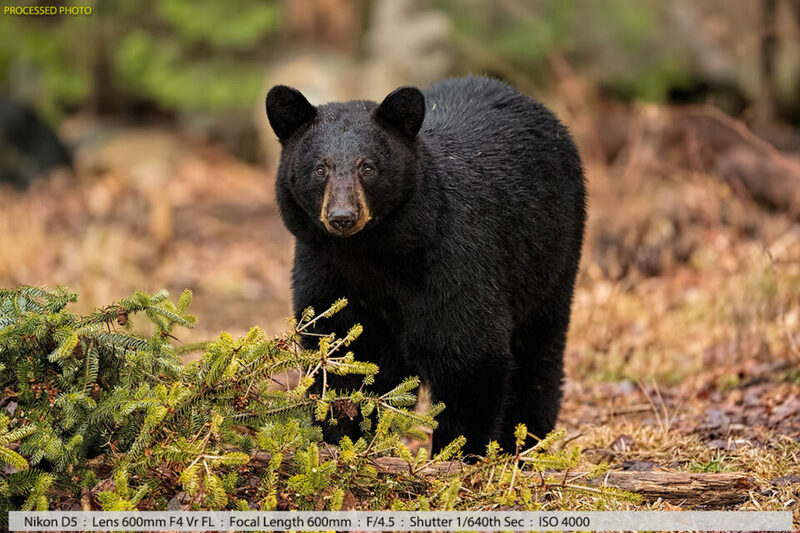 As long as we are comparing full-frame uncropped images, or images with equal crops, why remove some data from the the image produced by the camera we just paid $6,500 for so we’d have more pixels per inch??? Lastly: Nice photos!!! Do you have a can of pepper spray on your belt at all times? You should. I don’t fully understand the technical details and explanations of this pixel ratio subject, but Nasim’s site has very good articles on this matter. For me, I am very hands on, the basics to get the shots so to speak. I think if Nasim see’s this question he might supply some thorough answers for you. As for the iPad – not sure – everything looks great on my wife’s iPad. Thanks for compliment on photos and yes on pepper spray and bear behavior signs. …for 100% crops. If you compare 100% crops, you should make it so that the two original images have the same size (in pixels). If you’re comparing full-size images you don’t need to downsample anything. Thanks, but….educate me some more. I think 100% crop means one image pixel to one screen pixel, is that right? If so, why is it important or useful in comparing 2 or more cameras? That’s not the way we will view the images. I assume we will view prints. That aside, can we view images on this or any website (at 72 dpi?) and come to reliable conclusions? Why do these images look better on my NEC monitor than on my iPad Retina display? What happens when I click on the photo? Does it then download a bigger file to look at? Does the iPad not somehow reduce the resolution of those files? 100% crops are typically used to compare sharpness or noise performance ; it’s what you see when you look at the image up-close. It’s “important” when comparing 2 cameras because they tell you what the output looks like when you push the image to its limits, if you print very large for instance, or view it on some other very high definition medium. It’s obviously also dependent on other factors like the view distance, your visual acuity, etc. When you’re comparing a 12MP file to a 24MP file at 100% without downsampling the 24MP one, it’s as if you were comparing a 8″ long print with a 12″ long print from the same viewing distance : you can do that, but it’s not really insightful. Maybe the 8″ print looks a tad cleaner up-close, but it’s also much smaller. So, which one is best ? If you want a fair comparison (one that gives you some insight in what each camera is capable of capturing), you need to match the image sizes : either you downsample the larger image, or you upsample the smaller image. The later is a tad weird and will probably give you a blurry mess, but that’s the point : more pixels *can* translate into larger prints ; if you don’t want larger prints, you can use the *additional information* to get better accuracy at smaller scales. At 12MP, the 12MP sensor will have exactly one pixel for resolving some part of the captured scene ; at 12MP, the 24MP sensor will have twice as many pixels for the same part of the scene, the pixels may be a tad less accurate individually, but when you combine their output, the result is typically superior. You can think of it the same way astrophotography produces one image by combining heaps of captures in order to reduce the noise/information ratio as much as possible. Having several pixels instead of one can do the same thing. As for what the website does, it depends on the implementation. From what I can see, both the in-body and the “enlarged” images are at a 1200×800 resolution. So depending on the behaviour of your tablet, or your computer, or the website, you could get different results. Also, do you look at your NEC screen from the same distance as your iPad ? Does your iPad have the same definition as your NEC screen ? The iPad retina screen sits at 2048×1536 for 265ppi, which is a pretty high density, and if you enlarge a 1200×800 image on it, it will look blurry, that’s for sure. Thanks for your help, but I’m still stuck on your 5th paragraph. The 24 MP image is better because it has 2 px for each part of the image for which the 12MP sensor has only 1. If you take away that 2nd px by downsampling, you degrade the 24 MP image. You even suggested that the px in the 24 MP sensor might be less accurate (than the 12 MP) individually. That downsampling degrades the 24 MP image, no? I’m not trying to be dense…comes naturally. > That downsampling degrades the 24 MP image, no? Well, yes, as a whole it inevitably throws away a part of the information ; but in the context of comparing cameras, it enables you to make those 100% crop comparisons. What you want to compare is how a *specific area of the frame* looks like, not what an *individual pixel* looks like. A 12MP area of a 12MP sensor is 100% of the frame, while a 12MP area of a 24MP sensor is 50% of the frame. Similarly, an extreme crop at 400×300 pixels covers 1% of the frame on the 12MP sensor, while it covers 0.5% of the frame on the 24MP sensor. Is it fair to the 24MP sensor if you compare the noise levels and everything on that much smaller area ? Not quite, because while the individual pixels may be more subject to noise or light diffraction due to their size, if you were to look at the same 1% area, it may actually resolve *more* than the 12MP sensor. That’s what you’re trying to accomplish when you downsample the 24MP size for 100% crops, you’re making sure that you compare the same area, that gathered the same amount of light, and was subject to the same amount of light diffraction, etc. I don’t know, imagine a 144BP (billion pixels) sensor ; for any single pixel on the 12MP sensor, you would have 12MP to work with on the 144BP one ; how would you compare what a 1’x1′ area looks like with those two ? If you want to think of it in a less number-ish way ; in the end, what matters is the image you produce. 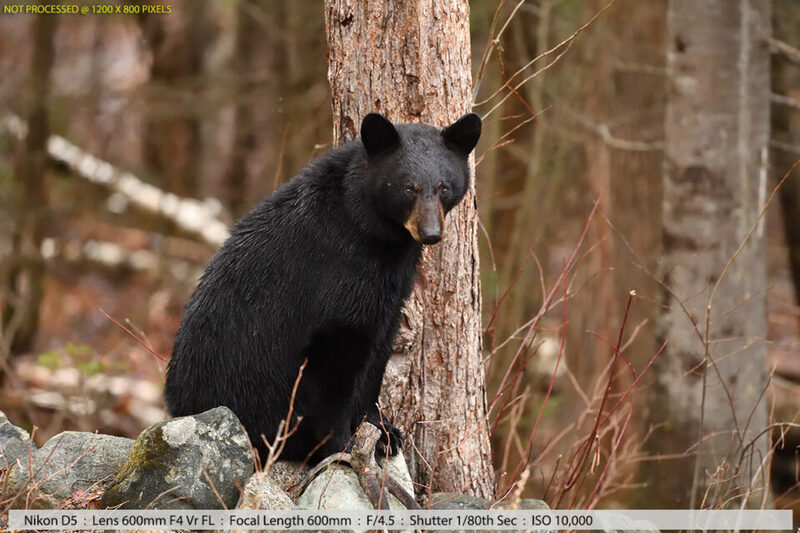 If you were to take the same picture of a bear, you might want to know what the bear’s head looks like depending on the sensor. 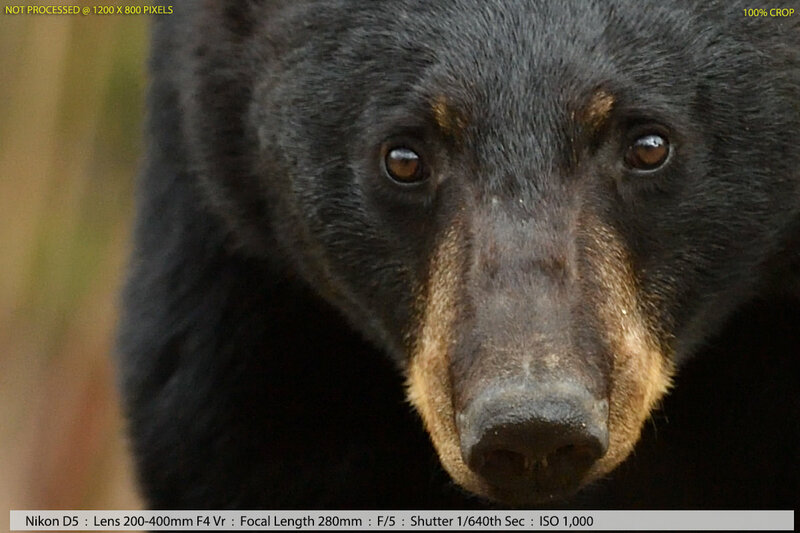 The bear covers a given area in the frame, *not* a constant amount of pixel. 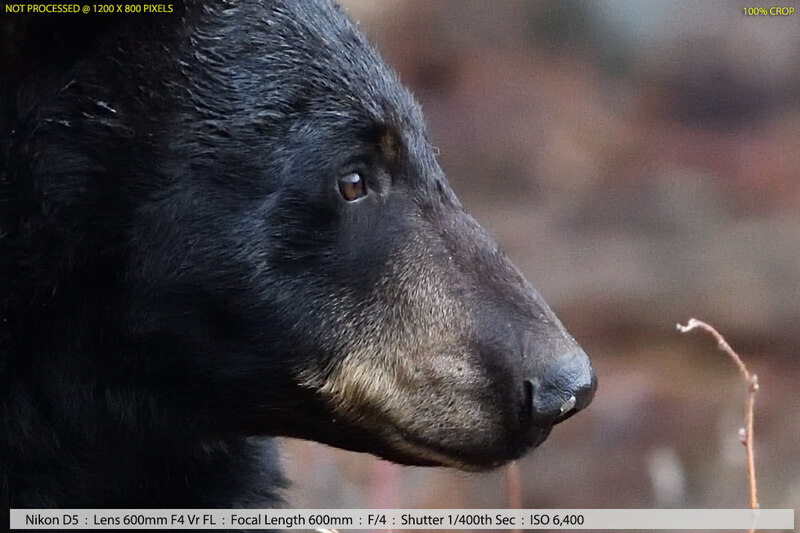 So instead of a 100% crop for instance, you could take the bear head, enlarge it, and look at both outputs at the same size. Great shots. I too owned a D3X for a number of years, and used mine to shoot Horse Polo with (combined with the old AF 80-400). The advantage of the bigger cameras are their batteries; more juice to move that heavy glass quickly. I miss my D3X, and like you, agree that the shots from it were fantastic. Hope you get good weather soon, so that we can look forward to a follow-up article. By the way, which program(s) are you using to process your pictures? Thanks Mate – Mainly Photoshop, NIK plugins and occasionally Topaz (but very limited) – I tried Lightroom, but it was too big of a change in workflow for me. I would argue the image quality of all the bears are not better than what you could produce with the Sony A7SII, for $3,500 less money. You could buy two really fine lenses for the Sony, and still be ahead. You did not show what 12 frames per second looks like with the Nikon, hopefully not the reason the Nikon costs $3,500 more. 12 frames per second of generally stationary subjects isn’t going to demonstrate anything. 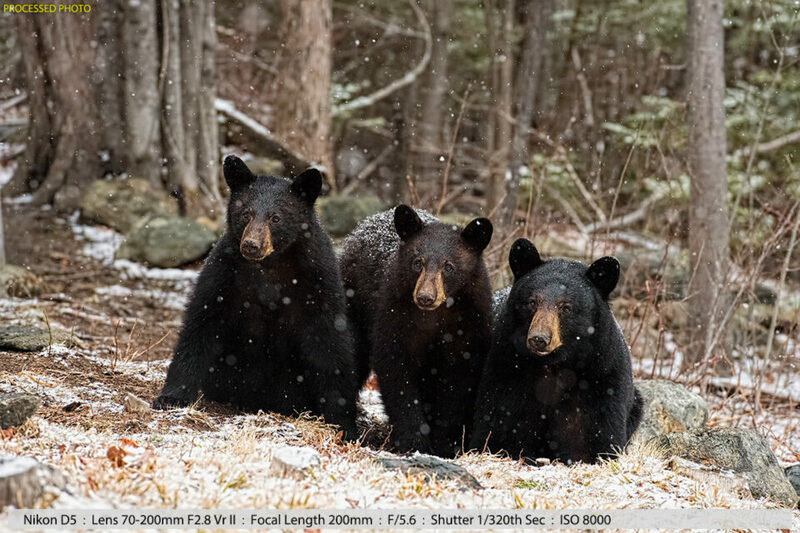 BTW for our other friend, the 12 frames per second did matter in the second photo (the three bears in the snow up close) – what the 12 frames per second allowed, was for in that short burst to find one frame with NO SNOW in front of the eyes of all three bears. I could have shot just one or two frames and be no good because of snow covering the subjects eyes. 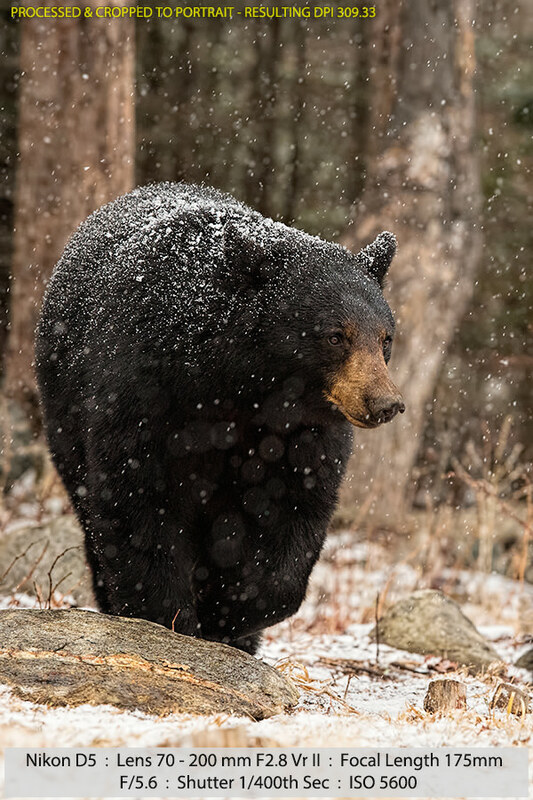 In this particular bear photo, the action is the snow and not the bears moving, but both are equally important to convey the message and engage the viewer. Maybe the D5 isn’t for you and yes there are many other camera options out there and each person makes his or her choice. The problem for most DSLR photographers is over the years they end up investing a lot of money in lenses and lenses generally don’t work with other brands. In essence unless I want to get rid of my whole camera equipment setup, it is not possible for me to switch, it would cost me too much money. I have invested in this stuff over 15 years. To some degree you missed the point of the article, it was basically just to show some images in difficult light conditions for people potentially interested, not to twist anybody’s arm and say they must buy a D5. Most people wanting a D5 will want it for the low light, high ISO abilities and fast auto focus abilities. The 11-12 frames per second matters plenty in wildlife if you are trying to stop high speed action like a bald eagle grabbing a fish from the water. Not to mention… what happens when you drop your Sony down a rocky hill in the rain? I’ve been out in the rain with my D810 with no problems and had it drop three feet out of my hand to the ground and then roll 15 feet down a rocky, wet hill. Not a scratch on it and no problems arose with the 85mm lens or the D810 body — which aren’t even as weather resistant or as durably built as the D5. You are right about this for sure. Years ago, I switched from full frame to DX (had D3s, D700). The build quality of the D3 was crazy. If you dropped it, nothing was likely to happen. Now I have D7100’s and I know they would not survive much of a drop. It’s one of the reasons I was happy when Nikon finally announced a “professional” DX camera. If I do happen to drop it, I won’t worry about it breaking so much. Of course, the D5 offers that same advantage in spades. As Robert said, a D5 is not for everyone. It is certainly not something I would purchase even if I could justify the cost (I am hard pressed to see how I would get enough return on it when I can produce acceptable image to both me and my clients with much less expensive gear) Plus, the biggest reason I went away from full frame was to get lighter bodies and lenses. Obviously, I am not going to be back to that as I haven’t gotten any younger and my back hasn’t gotten any stronger! The D5 (and 4x, 3x) is obviously a wonderful wildlife / action camera. That is what its for and when something is highly specialized, it is going to cost a bunch. Another factor is that obviously Nikon is putting their best tech into this camera and want to charge a premium for it. It’s not like they are gonna sell a ton of these and they probably would like to recoup their R&D investment. As Robert said, it’s horses for courses. You’ll save even more money on Sony’s 200-400mm f4 and its 600mm f4 prime. LOL Tonio :) Love your comment! It is interesting how the mirrorless crowd thinks that those Sony A7 cameras are even remotely close to what a full-frame DSLR can do. Clearly, they’ve never shot sports or wildlife! While I love the mirrorless technology, it is so far behind DSLRs in AF performance and super telephoto lens selection. In fact, aside from the 300mm f/4 by Olympus, I do not know of any other mirrorless system that offers a serious telephoto prime. 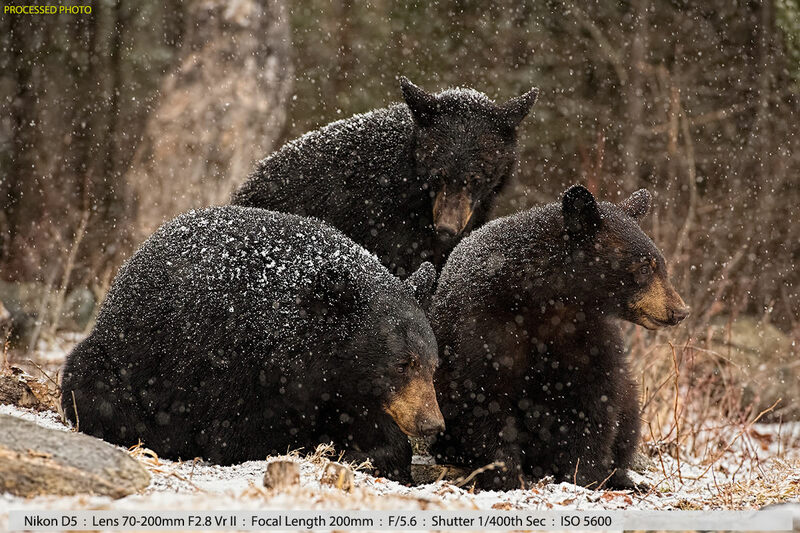 Tony, when you get out with the A7S and come back with pictures of bears in the snow, please let us know! Don’t forget to grab a solid tripod to defend yourself with, or we will never see those pictures! You will be very much surprised. I appreciate your suggestion, but I have way too much money invested in Nikkor Glass and I would lose too much money trying to convert. Why? I don’t think the Olympus OMD EM1 can shoot at high ISO’s (necessary in low light to maintain a high shutter speed) without a lot of noise. I could be wrong, but there’s a good reason most pro and serious amateur wildlife photographers spend the big bucks on a Nikon or Canon flagship camera. Superior AF in low light, good high ISO performance, monster sized buffers to go along with the camera’s high frame rates, built like tanks, etc are characteristics of these high end camera bodies. You have me curious so I will most definitely checkout the Olympus OMD EM1. Mac, you will like it, but its not close. I shoot with it everyday (love it) and they have some great lenses. The 40-150mm (80-300 effective due to crop) is incredible, even with a 1.4 tc. Despite the great glass, it can’t come close to even a mid-range DSLR like a D7xxx in terms of tracking action or wildlife, let alone a professional full frame camera like a Nikon D series or Canon 1x series. Further, as well as the OMD-EM1 handles high ISO’s well compared to its direct competition (other M4/3 cameras) it can’t compete with full frame cameras. This is from someone who thinks these Olympus cameras are awesome. Yeah, I figured it sounded a little too good to be true, but I am coming from a wildlife photography perspective where low light performance, AF tracking, etc are the priority. I’ve never shot with an Olympus but have always heard good things about them. The OMD-EM1 sounds like a great multipurpose camera. Probably why it’s liked by so many. Joe, I have tested and reviewed the OM-D E-M1. While it is a wonderful camera, it is nowhere close to being able to do what the D5 can. They are simply not in the same league. No mirrorless camera can match the speed and versatility of a full-frame DSLR from Nikon or Canon. Perhaps things will change in a few years, but for now, DSLRs rule the sports and wildlife arena. If you look at any large sports event, you won’t find a single mirrorless camera for this reason. As always, Robert, I appreciate your articles. Thanks for sharing your hands-on experience with us. The photographs are outstanding. Will you also be testing the D500 at some point? I’d be curious to see your thoughts on it especially as your focus is on wildlife photography. 1st – thanks – Second (the D500) – I ordered one, and hope not t change my mind before it becomes available, but if I do get one I will try to write something on it. I would rather spend the money on lenses; look at the 600 f4 or the 200-400 f4 amazing images. The camera has nothing to do with it. Its true the D5 is a statement saying look I have the latest thing, don’t really know how to use it but hey who cares, it looks good. Sure I love one for that reason alone. The wonderful thing about trying to help others by writing articles and sharing information free of charge is to receive wonderful complementary feedback like yours. Thanks for that – you don’t know me and you don’t know what I do and why I do it, please don’t presume so. The statement about the camera is so far out, it could only come from someone whom hasn’t experienced the range of digital cameras over they years and how they have progressed. “Don’t really know how to use it but hey who cares”” is a pretty good point. All this for $1,500 U.S., that’s body and lens. That’s $5,000 less than the Nikon D5. I’m going to look at some Sony sample images, I believe I just sold myself! The Sony is also a lot lighter if you need to run away from a bear… but I doubt you’ll see the ridiculously clean ISO 10,000 images. Right, it is a lot lighter. After you dump the lens and run off. Tony, when you have a chance to photograph bears in snow with the Sony RX10 III to do a comparison of the image quality with that of the D5, please let me know and I will be more than happy to publish your article! And that’s fine, Peter, for you that can be a personal thing, to be able to say a camera has no soul. For me it’s a money thing as well. Which camera provides the best value for my buck? It is my personal opinion that the Sony A7Sii can produce sample images as fine as the Nikon D5, for a lot less money. Which camera has more soul I’m not sure is an issue. After post processing images who knows anyway? Have a quick look at Matt Granger’s talk on YT regarding appalling Sony customer service on repairs, alarming. Then as a pro photographer try throwing any Sony around all day everyday for months on end expecting it to last longer than a week! Philippe, Robert has both lenses you’ve mentioned, so to him, your statement “I would rather” does not really make much sense. 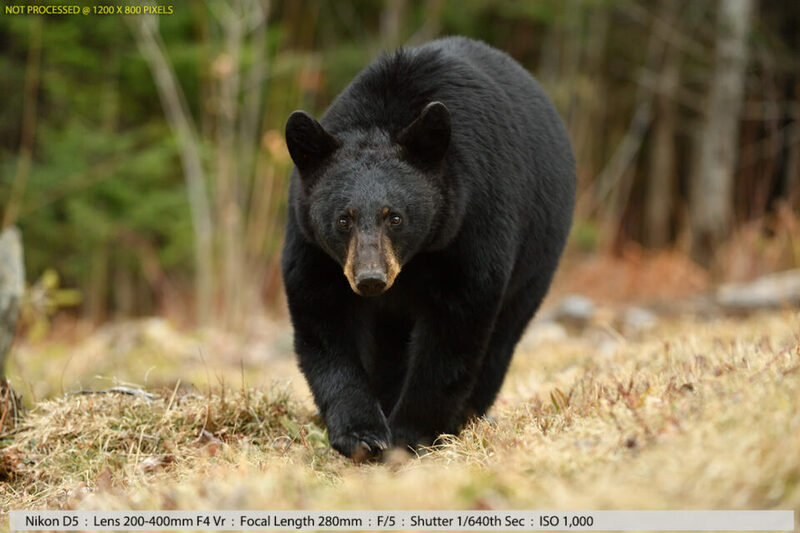 Clearly, you are not planning to buy the D5, but why try to diminish someone who knows a thing or two about photographing wildlife and handling top-end cameras? If Robert did not know anything about the D5, would he be able to produce this article with stunning photographs? You may wish to read this: www.dpreview.com/news/…amic-range and you may be ….disappointed with D5. That could be, but I generally evaluate the cameras I use in the field and the processed images they produce, I will do the same for the D5, my results in the field from the D5 will tell me all I need to know. But, thanks for the link. Waldemar, that’s a pretty meaningless statement for those who will be using the D5. Most won’t be shooting with the D5 for the dynamic range – the field experience will ultimately be the most important factor in deciding whether the D5 is worth upgrading to or not. Nasim, you have right to your opinion and I have the same rights to mine. Besides my statement is two folded where in the 2nd part one can check (from other forum of course) what has been found so far about D5 and I do believe, that at the asking price for D5 one should/must/SHALL know ALL is there about ‘pros’ and ‘against’ D5 before committing to buy it. Also for you to know I, as you and most of ‘photographylife’ followers am ….’Niconian’ for much longer than you have been ….yes, I am much older than you and this is the reason….and do believe that by letting all ‘photographylifers’ know about D5 is ‘due diligence’ rather than just criticizing Nikon new ‘wonder’ machine. Cheers. At least wait until PL full review is out before criticising them for lack of due diligence. If people know that the D5 doesn’t have the DR as say the d750 but has many other qualities people will make their decision but it’s probably not as big a deal as the internet is currently making it out to be. People seem very quick to jump on criticisms of equipment and of people. This article was a quick introduction and first view of a camera in a real world situation, why would he have to mention DR values or test charts? Waldemar, not sure why you took my reply personally, because I referred to DPR’s dynamic range as meaningless and not your comment – sorry if it was not clear. My point was, dynamic range is not something wildlife photographers obsess over, so if it is slightly worse than other cameras, it is not a big deal. However, if noise was worse, then it would be a whole different issue. On the other hand, if the D820 (or whatever the next D8xx iteration camera is going to be called) is going to have worse dynamic range, then it would be a big deal. We have not started our coverage of the D5 yet, but we are planning to in the near future. With so many cameras and lenses coming out, our team is trying its best. Rob did a wonderful job with his intro to D5, showing real life images and 100% crops – in my opinion, that’s far more valuable than lab tests for those who work in the field. For gear-heads like me, I cannot wait to see how it does in noise at high ISOs :) Most of us, including myself won’t be buying this camera no matter how good it is, but it is always fun to take a closer look at what Nikon is able to achieve on a $6K+ body. Waldemar, if I offended you with any of what I have said, I apologize – surely not my intent. You have been a wonderful reader for many years and none of my comments are aimed at diminishing you or others in any way. Sometimes the way we say things or the choice of words might not be the best, because it is all text over the Internet. I wish there was a way to have an ordinary, human to human interaction where people cannot misunderstand each other. That is like telling someone who just bought a ferrari that the ferrari is not comfortable when running at 60km/hour and can’t take as many passengers as if the person have bought an SUV. Great article Mr. Andersen I appreciate the way you conveyed your thoughts in the article and described how the camera works for you in your style of shooting (very similar to Brad’s style BTW). It seems many people hopped on to comment without reading the whole article or misremembering ;-) the intent of the article. Most of us like to hear about the new gear and first impression opinions like yours. Thanks for the great work. I look forward to reading any follow-ups you write and your article on the D500 when it comes out. I respect Brad Hill and share a lot of his views. What a great and knowledgeable guy! He does come and post comments at PL every once in a while. You are welcome. The D4s is a stunner camera, you can’t go wrong with it. The mega pixels is one of the main reasons I upgraded, since my D3X I have always liked the around 20MP range, the D800 was my original answer to that quest, but I didn’t take a liking to it and traded it in while it was still worth something :) – I am still figuring out how I feel about the D5 – having said what I said about the D800, we always travel with two camera bodies, because we have had a camera fail once before on a photo trip, so the D5 seemed like a perfect option for that. Robert, many thanks for the article and sharing some wonderful captures. There are some very polarised opinions here. It seems Nikon has aimed the D5 squarely at those who really need it. Those who don’t understand the point of the D5 aren’t Nikon’s intended customers. Pixel peepers will be disappointed at the drop in base ISO dynamic range (it’s not a studio camera), but the reduced noise at higher ISOs is clearly apparent. For professional sports, wildlife, event and PJ photographers it looks like it could be a gamechanger. Thanks – My initial gut feeling is the higher ISO performance to noise ration is going to end up serving my needs, I shoot in low light so often it’s not funny. Also answer 12.1 above explains my needs in this camera, the continuous 12 frames per second with large buffer and stunningly accurate and fast autofocus are things which don’t matter so much in a studio setting, but matter to me in field. Excellent point – exactly how I would state it. Thank you. Was the moon full last night? Seems like a number of lunatics from dpreview forums came out from under their bridges and moved to Photography Life. This used to be such a nice neighborhood! 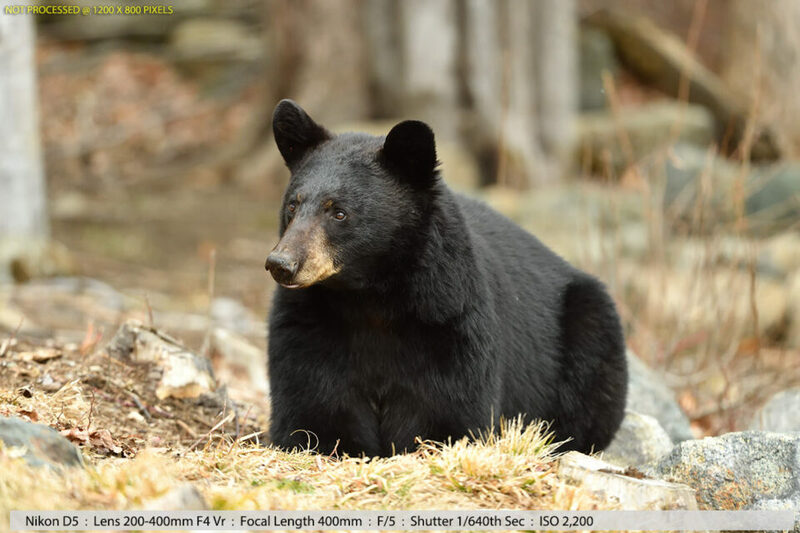 To those who did not appreciate the trouble Mr Andersen went to, to share some very lovely black bears in the snow photos with us, along with his acknowledged first impressions of this camera which many of us are interested in learning about….you should. I hope he will update us in the future. To those who made poorly considered criticism of the camera they have never even seen, to those who are trying to persuade us that their favorite camera (which has as much in common with a D5 as a Prius does with a Ferrari – I like the car analogy), to those who cut and paste camera specs from Amazon, etc, to those who do not appreciate Mr Andersen’s nicely done post, I suggest you go back under your bridge and post on dpreview. Thanks for sharing the first pics from your new D5 Robert. Shame about some of the less then polite comments you got. My friend has a saying, never read the bottom half of the internet! People always seem to be pretty nasty and judgmental, but PL always seemed to have missed that in the past. I would love to get that close (not too close!) to wild bears. A thrill I am sure. Anthony, 100% agreed :) Robert did a wonderful job – I will take a real field test any time over a lab test, although I myself shamefully tend to do a lot more of the latter. While lab tests and pixel peeping are sometimes needed, they are pretty irrelevant for cameras like the D5. Robert, thank you for posting your images. I have an interest in the image quality of the D5 and hope to see many more examples over the coming months. However it is the sensor/processor that interests me more than the camera itself. Let me explain. Recently a friend was on a shoot using a D4 and a D750 and while both cameras provided excellent images (using the same lens) the D4’s had, to me, an indefinable quality that I wished I could get with my equipment. Having no need for the D4 level camera, I started to consider the DF as it has the same sensor and processor that the D4 has. And then….. Nikon announced the D5. Of course now I wonder if there is a DF2 in our future. If the IQ of the D5 with a larger pixel count sensor is as good as the D4’s I will be patient. If the “magic” isn’t there then I’ll go for the Df. For those that are interested, I extended the article showing a landscape to portrait crop example and the cropping power of the D5. Nikon will soon have a range of professional tools available for people to choose from. I expect the D5 to be the best choice for those wanting the best image quality, focusing and fps at high ISOs (which will primarily be sports and wildlife shooters not portrait or landscape shooters). I expect the replacement for the D810 to be the best choice for those wanting the most pixels, best image quality and dynamic range at base ISO (generally studio, portrait and landscape shooters). I expect the D500 to be the best choice for those who want the most reach for the least cost (wildlife, especially birders, and sports). For those who want a robust build but don’t need the latest technology a used D4, D4s, D810 or D800 will be a great value. Don’t count them out. They will still produce the same stunning images they produced when first released. Just because a newer body has a few minor advantages here or there doesn’t mean you actually need those new abilities in every shot. A low shutter count D4 will soon be selling for half, or less than half, its original price: same with the D800. For those who don’t really need the most robust build (which is most of us) the D750 (and its replacement) as well as the D7200 (and its replacement) are remarkable tools at remarkable prices. We should think of Nikon DSLRs as tools in a tool box and select the best tool for the job at hand (just as we do lenses) rather than complain about a pliers because it isn’t as good as a needle nose pliers for one specific task. Much of the criticism of something in the D5 (such as base ISO dynamic range) not being as good as the same thing in a D750 (see Digital Photography Review’s comparison) is interesting to know but simply one attribute of one of the tools available to us. It a particular attribute (such as ISO invariance) is so important to you because of how you shoot and post process then select the D750 as your tool. The point of knowing the various strengths and weaknesses of any tool it to enable us to select the proper tool for the job at hand; not to criticize one tool because it isn’t best at all things. Criticisms of the D5 because it doesn’t have the dynamic range of the D4s at base ISO are misplaced. If the D4s has better dynamic range at the ISO you shoot, and that slightly better dynamic range is so important to you, then just buy a used D4s and save $2000. If the D810 has the best dynamic range at base ISO and you don’t need 12 fps, then just buy a D810. There really isn’t a problem to get all upset about. The same is true for other systems. If the Sony system has some advantages which are important to you (maybe an electric viewfinder so you can better pre-visualize the effect of your various adjustments) than just buy and use that system. Articles about the strengths and weaknesses of a certain body or lens are valuable because they inform us about the tools. Know the tools available to you and then select and use whatever tool best suits your needs and stop complaining about tools you don’t want to use. They are not deficient; they are just designed for a different task. Be thankful we have so many wonderful tools in our toolbox. Thanks, yeah – actually Nikon Moved a couple of things on the D5 which is messing a little with me, the layout of the pro bodies have been the same for so long – not as big a deal as pro body to the smaller bodies. I think the D5 is specialized in the sense that its an extremely high performing camera, built like a Mack truck, with many features that a wildlife or sports photographer seek – its not that there are not other cameras that do this, but the closer you get to maximizing your keeper photo keeper ratio, the more valuable a camera might become to someone. I’ll try and explain that in detail at some later time or article. Everyone is concerned with everything except the results! I am impressed at the quality photo you got from 1/80sec with the 600! Very nice work. I know, I don’t understand, I have many reasons for buying a camera of this quality, and the article wasn’t about price. It was just about sharing some sample images in really tough lighting conditions. Thanks for sharing your first pictures from the new D5. It’s always more interesting to see some real world results. I do have to agree that the shots appear a bit soft in my opinion too, but not bad at all given the overcast, evening light. The fact that you have some useable shots around 12,800 ISO is very promising. Being a D300s user, if the D500 gives acceptable results at 3,200, I will be happy. (i) Did you have high ISO NR on in camera? I’m wondering if such processing was kicking in on your D5 at the high ISOs, which whilst cleaning up the background, could also have smoothed some of the wanted detail. (ii) What Picture Control settings were you using? I’d be interested in peoples thoughts for the best PC settings for low light situations to add some punch without degrading the IQ if possible. My understanding is that these two features apply even to raw files. Anyway, I look forward to seeing some more D5 shots from on a sunny day hopefully. Yes definitely, I noted on another thread that many of the high ISO test shots from the manufacturers seem strangely to be of perfectly lit subjects using fast shutter speeds. I haven’t seen a specific test on it, but I’m sure a longish exposure high ISO shot say at 1/30 sec of an actually dark subject is much more susceptible to noise than a high ISO shot of a perfectly lit subject using short exposure like 1/1000 sec is. Also with you on the full size bodies. I’ll probably get the grip on the D500, once they’ve moved away from the early adopter premiums. At my local camera store, they already have the lower prices programmed into their tills to start selling around in July/August at. 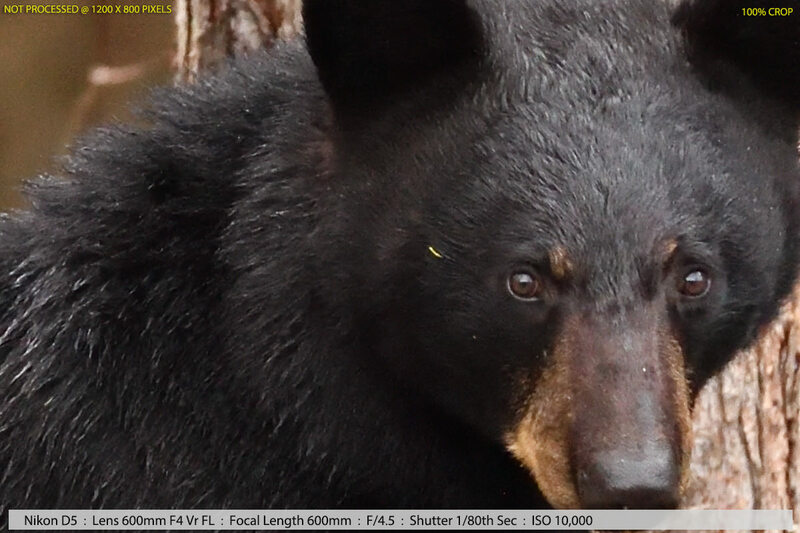 i think if this is the best bear picture from d5 can do, with that pricey lens. d750 is much better than that with a lower price. would be better to upgrade the lens to 800mm rob, dont waste your money to buy body that not even better than your previous. Thanks – its because they did miss the point, too concerned about the price of the camera, which I understand, but the price of a camera should not be the reason not to post something, I have thick skin. The D4s is rock solid, a workhorse of reliability, I realize by reading the comments that some of these people couldn’t possibly have tried to do some of this stuff, there are many reasons for owning a pro body (specs) camera – from ruggedness to weather sealing to fast accurate auto focus to big buffers to frames per second to high ISO and Low Noise and so many other features, each of which helps get the shot the first time. The two main reasons I bought the D5 were, I needed a secondary camera (always travel with two) and I have always wished my D4s had just a few more mega pixels. I actually thought about bypassing the D5 and jumping to the D500 as a backup camera, but there are a few reasons I didn’t do that. Thanks mate and just remember to have fun when you go out there – safe travels mate! What are those reasons? I think I know, but would like to hear it from the source. BTW, hope you were able to checkout Brad Hill’s site and thoughts on the D5. He is enjoying his. One reason was cost, 2nd reason was apart from megapixels I am really, really, really happy with my D4s for wildlife photography, so I wasn’t really confident the D5 could be better (ie: a bird in hand is better than two in the bush thing). 3rd reason was the need for a backup camera when travelling, I have a D800 but it has less than 1500 shutter count because I just don’t like the images from it. This meant I really did need to find a 2nd camera body, only choices for me were (D5 or D500) if I was going to spend the money anyway. If, I was mostly buying a backup camera, the D500 would have been a good compromise because of the crop factor, this might help me when travelling with limited backpack space and maybe negate having to bring multiple lenses. It is never going to be as good in my mind as a D4/D5 – probably close and definitely OK in many situations where its benefits work for me. I am so married to a pro body as my main camera – I am sure I can switch one day if needed. I really bought the D5 to fill a 2nd working camera hole and with sincere hope it would be as good as or better than my D4s but with more MP. I might still get a D500, I’ll see – if I can get something for my D800 I’d go for it – but two bodies have always served me well, you really can’t take a lifetime trip (ie: Alaska Coastal Bears) or something similar with just one body, its big risk, because stuff happens and trips like those are so expensive. Thanks a lot for the detailed reply. Much appreciated. I own a D4, so I understand why you like the Nikon flagship cameras so much. Once you’ve had one, everything else kind of pales in comparison. That said, I am looking forward to seeing some creditable reviews of the D500 when it comes out. Definitely won’t match a D4/D4s/D5 when shooting at high ISO’s, but still hoping it’s a strong performer. It would be great to see what results you would get photographing wildlife in jungle conditions in Costa Rica. If you go there with your D5 and 600mm, and a guy with a tiny camera goes by and says “You sad little man!”, it is just a friendly greeting. You can reply “Yo AlphaWhiskey! How’s it goin’? “. I always look forward to your articles, you tell it how it was, warts and all. You are always a reliable source of real world wildlife shooting at the limits of user conditions where we need the feedback from, not from a studio or sports field like most. The same goes for your lens articles. A really informative and useful article, thanks. The practitioners at the extreme end of wildlife shooting and associated expensive equipment are both comparatively few in number and in the main reticent to expose themselves to the snapping horde. I appreciate you doing it for us. I can see you need a thick skin and your patience is admirable. It amazes me how many post comments here on really stupid comparisons to D800/D750/micro 4/3 etc who obviously have no experience of field conditions or the FX pro bodies. Please don’t let them put you off. Thank you very much indeed for once again freely sharing your wonderful images and experiences with us. Just in case this is of any use to you… I’ve found that the Nikon D3 and D4 series of sensors, and their Nikon RAW converter software, use unnecessarily aggressive “High ISO noise reduction” when left at their default setting “Normal”. I’ve set my cameras to their “Low” option because I’ve found this to be a much better tradeoff between noise and smearing of fine detail for the vast majority of my varied low-light photography. This “Low” setting has worked especially well when the Picture Control Sharpening level has been set to either “2” or “Auto”, which is not the default value for most of them. Being a new D5 owner I couldn’t resist giving my 2 cents worth. I got my D5 about a week ago and have shot a track meet in late afternoon, a baseball game in the afternoon noon and another baseball game at dusk and under the lights. I own a D810 and a D7100 and neither of these fine cameras would have handled these challenging conditions well. The D5’s autofocus, speed and ability to deliver good photographs in low light blew me away. Most impressive to me is the improved autofocus and ability to track moving subjects while maintaining focus at bursts of ten or more shots per second. I was able to get great shots of multiple hurdlers and runners while maintaining spot on focus. My low light pictures of batters and fast action on the bases and at the plate were of high quality as well. How about quality at low ISO? Based on what I have taken thus far, I have no complaints. I would expect my D810 may do a better job with landscapes in good light and that is great as I will keep and enjoy both cameras. Is there a link where we can see your D5 pics (exif included) ?